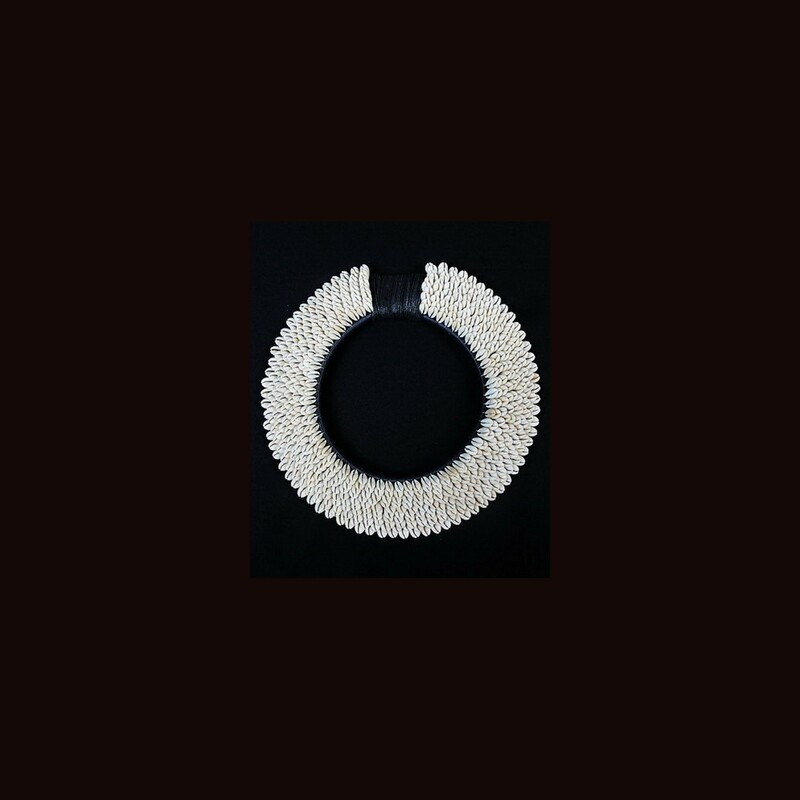 Papua New Guinea traditional tribal necklace composed of small Cowrie Shell slices sewn in ten overlapping bands, onto a black Fibre collar. The inner diameter of the collar is 7 inches, and the outer diameter is 13 inches. International order set to ship via registered air mail ( Malaysia Post ), 14 -21 working days worldwide. Item shipped is insured ! For combine multiple listing, please contact me for an accurate quote based on your location and items that you are interested in.